What is cholecystitis and how is it treated? Inflammation of the gall bladder (acute cholecystitis) is usually accompanied by the presence of stones, and people older than 50 years are more likely to have it. Even 90-95% of such inflammation causes the interlocking stones in the neck of the gallbladder or in the supply channel, which interferes with normal discharge of bile. As a consequence of long retention of content, the pressure in the gallbladder increases, which is why it expands, resulting in swelling of mucous membranes and develops acute inflammation of the gall bladder. It is assumed that some drugs, such as some types of antibiotics, birth control pills and statins (regulating the amount of fat in the blood), promote gallstone formation and encourage the development of this disease. Women during pregnancy are at additional at risk of creating stones in the gallbladder, and cholecystitis is the second most common cause of acute inflammation in the abdomen of pregnant women, immediately after appendicitis. Symptoms of inflammation are especially pronounced in the second and third trimesters, and surgery is very rare during pregnancy. Acute inflammation of the gall bladder is most often manifested by severe pain in the right side of the abdomen three to five hours after a fatty meal. The pain extends to the right shoulder, shoulder blade or the spine, accompanied by nausea and vomiting, and increases with each breath, and coughing and movement. In rare cases, there is a noticeable discoloration of the skin and mucous membranes are yellowish. If inflamed gallbladder goes untreated possible series of life-threatening complications may occur. Acute inflammation of the gallbladder is treated with medication to calm the strong and unpleasant pain in the gall bladder, fix the general shape of the body and prevent the progression of infection. Official medicine recommends the discontinuation of fluids and food in the mouth, while painkillers recommend pentazocine -fortral and tramadol - trodon. Strong antibiotic treat acute infection of bile and works preventively on the appearance of new complications. 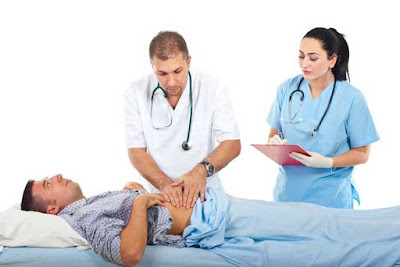 Surgical treatment is recommended only after calming of infection in the acute phase and then usually performed is the removal of the gallbladder - cholecystectomy. For this intervention doctors use a standard set of instruments and there is no need for additional equipment. Doctors access the gallbladder by using standard surgical instruments. If gall stones are not too big they can be removed with the help of outpatient ultrasound waves, which is certainly a mitigating factor for patients. In this article, we have prepared three excellent tea mixtures which solve problems with gallstones. Mix equal parts of curry plant, yarrow (milfoil), chamomile and mint, and three tablespoons of mixture pour with 7 dl of boiling water and leave to it stand covered for 60 minutes. Strain and drink every hour 1 dl of tea. Mix equal parts of centaury, juniper, mint and knotweed, and 3 tablespoons of the mixture pour with 7 dl of boiling water and leave it covered for an hour. Strain and drink every hour 1 dl of tea. Mix equal parts of wormwood, fennel, milfoil, and three tablespoons of mixture pour with 7 dl of boiling water and leave it covered for an hour. Strain and every hour drink 1 dl. Apple juice and cider with patients who have suffered from ill bile claim that this recipe is irreplaceable. Dissolve three tablespoons of apple cider vinegar in 2 dl of apple juice and drink at once. After the first ten minutes it is possible that the pain of bile slightly intensifies, but after twenty minutes they completely disappear. Diet with inflammation of the gall bladder to be effective requires to avoid excessively hot food and drinks, eat less but more often (6 meals a day), and after eating some rest is required. Avoid foods that cause bloating of the stomach, and eat those that are rich in carbohydrates and protein, but low in fat. Recommended is toast, chicken and oily fish, but it is necessary to avoid fresh hot bread, pasta with eggs, fatty meat, especially meat products, a lot of fatty dairy products and strong spices. Recommended are large quantities of fresh vegetables and fruits, especially grapefruit, grapes, lemons and pears, and nuts that contain essential fatty acids. During the day you should drink at least 6 glasses of water. Inflammation of gallbladder is in most cases caused by improper diet, devote more attention to how you eat as the prevention of diseases of bile is very important. Read the article symptoms of gallstones.